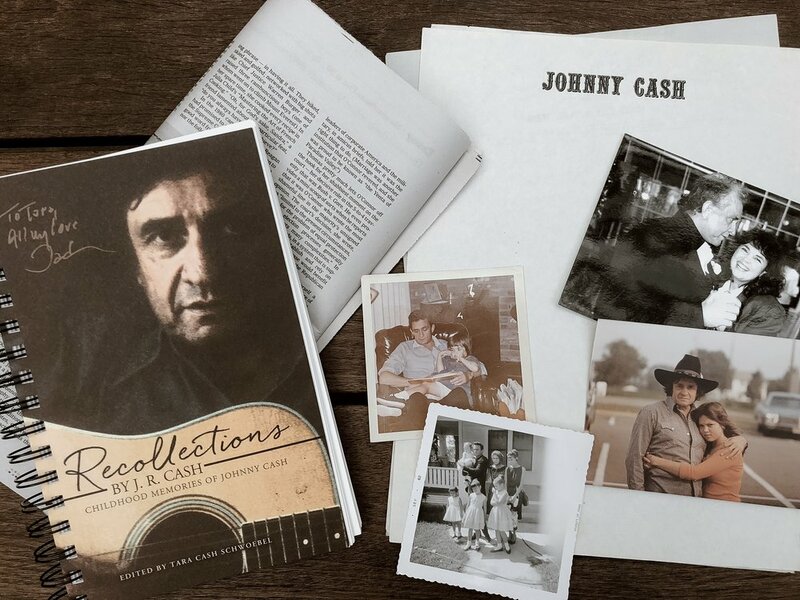 SIT DOWN WITH JOHNNY CASH AND EXPERIENCE HIS OWN PERSONAL STORIES IN THE BOOK RECOLLECTIONS BY JR CASH. I gave this book to my father in 1995 and asked him to fill in the answers to the questions about his childhood. On my birthday the following year, I received the completed book as a gift. Dad was a natural historian. 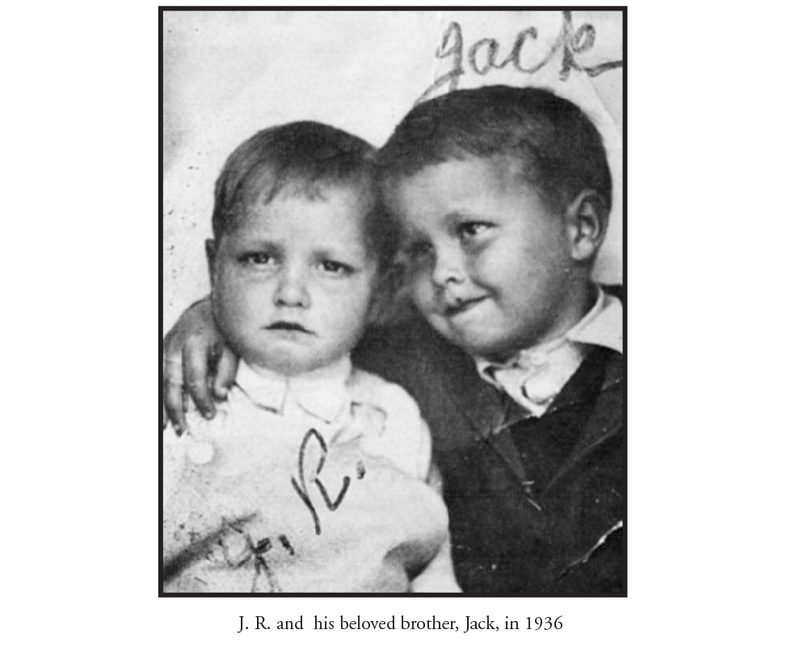 He had a keen memory and an expansive intellect, grounded in a simple, honest hardworking upbringing in a family that originally contained nine, reduced to eight after the tragic death of his brother Jack at the age of 13. 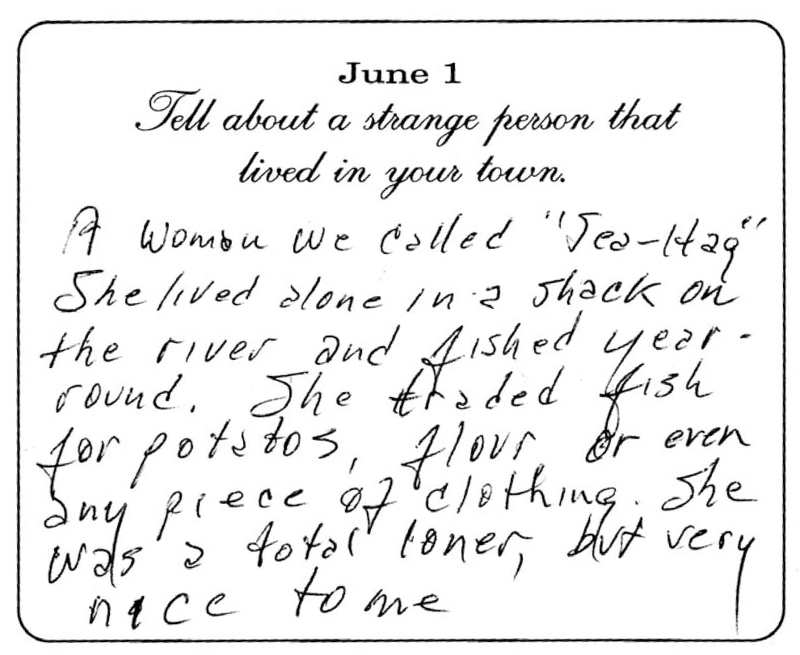 His stories are unique and his feeling about them a palpable. 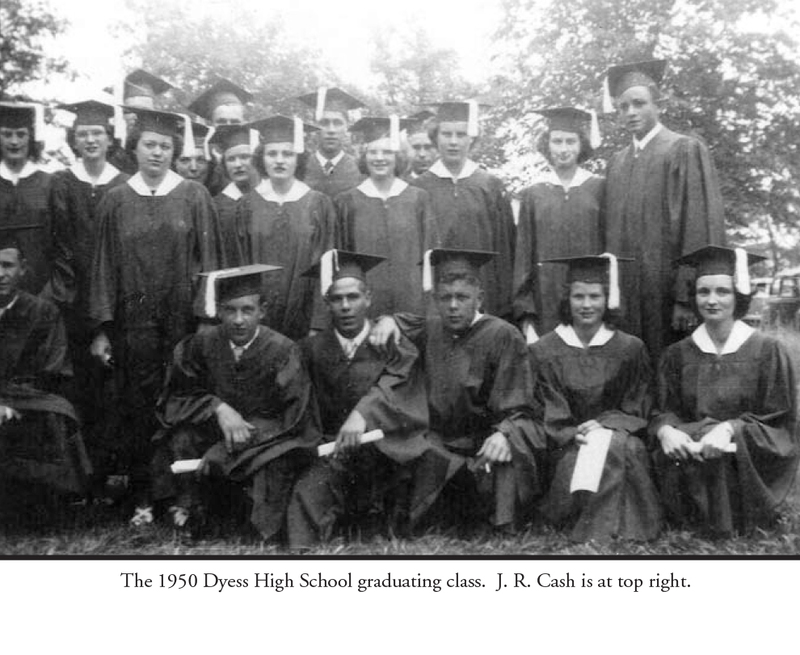 An important time in the nation’s history–the New Deal and WPA colony of Dyess, Arkansas, which rescued desperately poor familiies such as the Cashes– is the backdrop of his childhood and, in itself, of great interest. 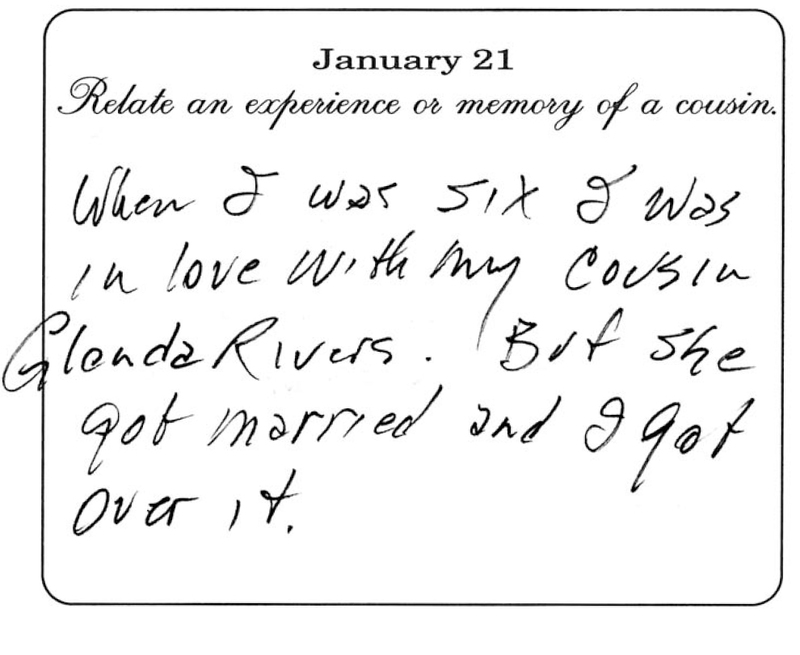 Having seen the now-restored home where he grew up in Dyess and knowing the breadth of the hard work, the tragedies endured, the depth of instinct for survival, and the love of his family shared, I feel it is time to share this priceless journal. I have held this book close to my heart for all these years. With no hesitation, knowing that Dad would be proud to share these stories, I now want to share it with his fans, friends, and family to cherish, as I do. I hope you will enjoy getting to know this boy, who became my father, as much as I did. I give that boy, and that father, all the love and respect in the world.